The comprehensive portfolio of relayr and Fast Lane empowers customers to unleash data from unconnected legacy and new devices, enables ecosystem partners to identify IoT market opportunities early, develop their pipeline and deliver solutions to customers across all industries. Digitalize your company by building IoT solutions and expertise! Digitalization and the Internet of Things - the next industrial revolution - have already begun to have a significant impact on the way businesses run today. The benefits of smarter equipment and assets can be seen in every area, from operational efficiencies and cost reductions to new business models for incremental revenue. In this new world, your organization’s business model is at stake. Your biggest competitor is … doing nothing. 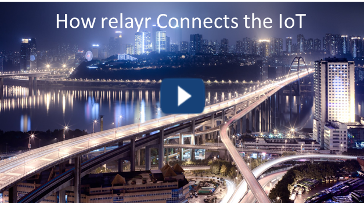 relayr is the company for the digital transformation of industries; a global IoT leader providing a device, hardware, and sensor-agnostic enterprise middleware platform, along with powerful, simple-to-use tools such as industrial retrofit kits which enable fast and cost effective prototyping of new solutions, equipment, and services for the Internet of Things. Our education offerings enable ecosystem partners to enhance their IoT expertise and accelerate market opportunities across all industries. By offering educational tracks specific to all job roles, relayr and Fast Lane enable global scaling of knowledge on developing real-world IoT solutions quickly, effectively and securely. relayr IoT Solutions Design (Solution Architect) - Coming Soon! relayr IoT Solution Implementation (Field Engineer) - Coming Soon! relayr IoT Solution Implementation (Developer) - Coming Soon! 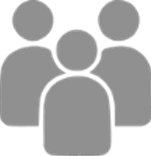 relayr Remote Asset Management Administrator Course - Coming Soon! relayr Remote Asset Management Optimizing and Troubleshooting - Coming Soon! Do you want your existing operations equipment to be connected and unleashing relevant data; making your new products smart; or prototyping a Digital/IoT solution? Get help from the industry experts at relayr and Fast Lane, who have delivered exciting hackathons to enable many of our customers to do exactly that. We pair IoT experts from our ecosystem, your company’s designers, developers, hardware technicians, and (optionally) makers for 2-5 full days to hack a solution. Based on a unique business canvas model approach, our experts deliver a customized workshop and ideation session. This allows us to model use cases based on your specific business needs and create a proposal for rapid solution/prototyping development for one or more solutions meeting your requirements. The workshop will identify your current pain points, deliver a customized road map with concrete next steps and a detailed outline of resources needed to build your IoT solution. The workshop also supports the creation of a business case, ROI and value analysis of the proposed solutions. Building from the Customer Engagement Workshop, this engagement delivers a rapidly developed prototype with small scale testing for one of the solutions identified in the roadmap. The resulting product is a technical solution built on the mutually accepted use case, and includes: prototype design, relayr cloud and edge/fog technologies, sourcing and deployment of different connected sensor modules, third party software technologies as needed, and demonstrating connectivity to an application or a custom IoT dashboard. This working prototype will validate the concepts articulated in the selected use case and capture meaningful data that can be applied to further development and refinement activities. Fast Lane’s Managed Enablement™ services assist vendors and system integrators in bringing IoT solutions powered by relayr to market, providing a jump start to sales and deployment. These services are augmented by a powerful enablement framework, driving rapid IoT practice development for vendors and System Integrators. A Test Drive (or proof of concept event) provides technical decision makers with a deep-dive learning experience that focuses on a specific IoT solution addressing a particular vertical use case. After attending the relayr Test Drive, most if not all of your customer’s questions and concerns will have been answered and your customers will have an appreciation of the operational and business value that can be achieved by implementing a specific set of solutions. In case the solution / use case for a particular customer is not that obvious, our Customer Engagement Workshop can be used to map the relayr IoT solution portfolio to your customer’s particular needs, use cases and business realities. The workshop identifies your customer’s current pain points and clearly connects the value the customer is looking to create to the capabilities of the relayr solution portfolio. We help your customers’ various stakeholders align desired business outcomes and demonstrate how a relayr IoT solution will meet their requirements, including ROI and proof of value analysis. This service is a special derivative of staff augmentation. It consists of one or more on-site design and deployment workshops including related knowledge transfer and additional mentoring once the workshops have been completed. The purpose of these workshops is to help you deploy relayr Asset Management solutions with expert assistance in a controlled (mentored) environment thus optimizing your investment in technology, time to deploy and effectiveness of the implementation. Fast Lane experts in all geographic regions are here to support critical parts of your IoT Solution Sales Cycle. This includes Account Managers (AM), Pre-Sales Engineers (SE) and Solution Architects (SA) trained at selling and designing relayr IoT Asset Management solutions. Whatever the gap, we apply deep experience and passion to help you close the deal and bring the value of IoT to your customers.